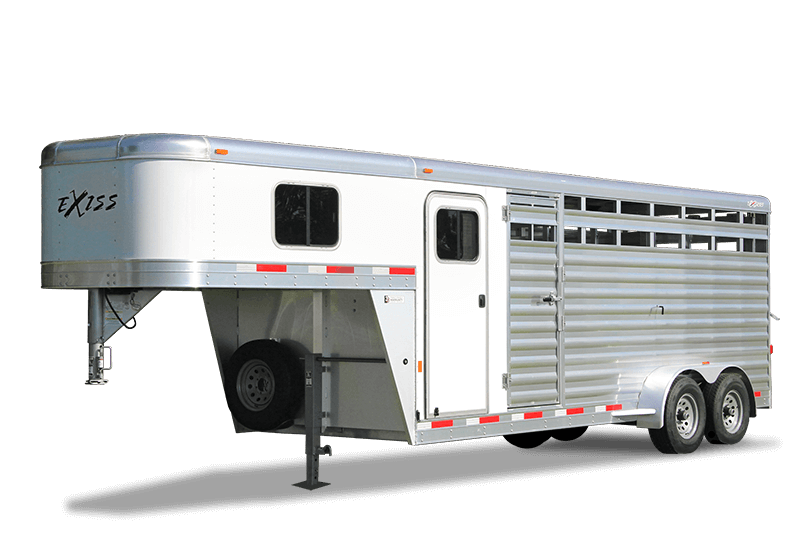 Exiss offers a complete line of quality aluminum horse trailers and livestock trailers loaded with horse and livestock friendly features. We know that you have many options, and we'd like to show you why an aluminum trailer from Exiss is the best fit. From living quarters trailers to our popular bumper pull trailer and gooseneck trailer models, we build standard and custom trailers to fit everyone's needs. Check out our selection and then contact your nearest Exiss dealer today!